UK producer Woz remixes Rudimental's track "Feel The Love" and recruits Childish Gambino to add a couple verses to the electronic banger that previously featured Wale. Stream Feel The Love (Woz Remix), the newest drop from Rudimental which features Childish Gambino. The cut was released on Friday, July 26th, 2013. Things are looking better for Rudimental with each new release, which Feel The Love (Woz Remix) has proven yet again. It's worthy addition to the impressive body of work Rudimental has been developing over the years. We're looking forward to hearing what's next. Check out Rudimental on Free (Remix), featuring Emeli Sandé & Nas. If your interest is piqued, hit up Rudimental's profile for more info, news, songs, and mixtapes. 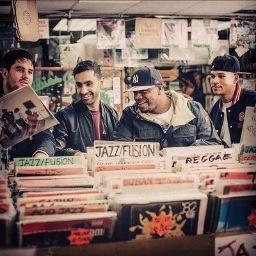 Have you checked out Rudimental's Facebook and Twitter pages?